Gurney, who has 134 wickets in 114 T20s, will join the IPL after stints with Melbourne Renegades in the BBL. The Indian Premier League (IPL) is a lottery that every cricketer aspires to bag. It not just brings overnight fame and with it an opportunity to extend the period of staying in the headlines through good performances besides, of course, the money. Especially for players who have not been able to make a mark through the traditional routes, IPL serves a faster alternative and Harry Gurney is one such servant of the game. The 32-year-old left-arm pacer from Nottinghamshire, last played for England four years ago but came back into international prominence on Tuesday when the auction of the 12th edition of the IPL saw him getting picked by two-time champions Kolkata Knight Riders (KKR), who made significant picks to give a finishing touch to their squad that looked incomplete last year. For Gurney, who has over 300 wickets in first-class cricket, the experience on Tuesday, which was also the eve of his marriage anniversary, was special. The man was out to spend the night away exclusively with his wife for the occasion and dropped their little son Arthur at his mother’s place which is some 20 minutes from their home. On realising that they forgot something at home, they returned to get it and then the unbelievable thing happened. “I arrived back, walked into the kitchen, and my wife stood there and said: ‘You’ve been sold!’ I was ecstatic – my phone’s gone berserk with calls, texts, WhatsApps, Twitter notifications and all that,” the 6-foot plus bowler was quoted as saying by ESPNcricinfo. 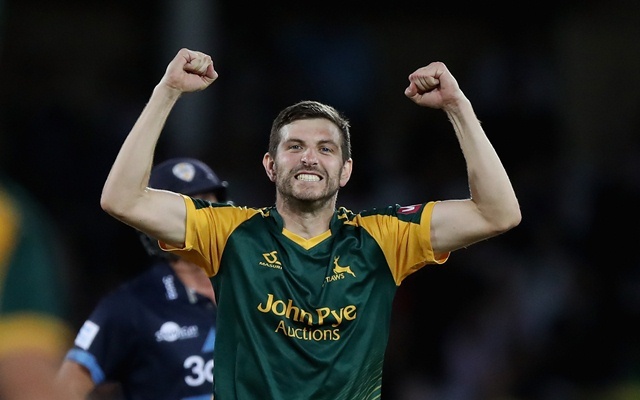 The proceedings at the auction had surprised quite a few for more established names like Eoin Morgan, Alex Hales and Chris Woakes from England were ignored but Gurney, who last played for the country a while ago, was picked for Rs 75 lakh, his base price. Gurney, who has 134 wickets in 114 T20s, will join the IPL after stints with Melbourne Renegades and Quetta Gladiators in Australia and Pakistan, respectively.